Contributors: Helen Lowe, Chris Slane, Ant Sang, Scott Hamilton, Tim Jones, Andrea Quinlan, Adrian Kinnaird, Himiona Grace, Tommpa, Trish Nicholson, Martin Porter, David Tulloch, Gonzalo Navarro, Raewyn Alexander, Maureen Sudlow, Mike Crowl, Maurice Oliver, Vaughan Gunson, Rae Joyce, Dorothee Lang, and Michelle Elvy. It was the walking stick that caught my gaze. 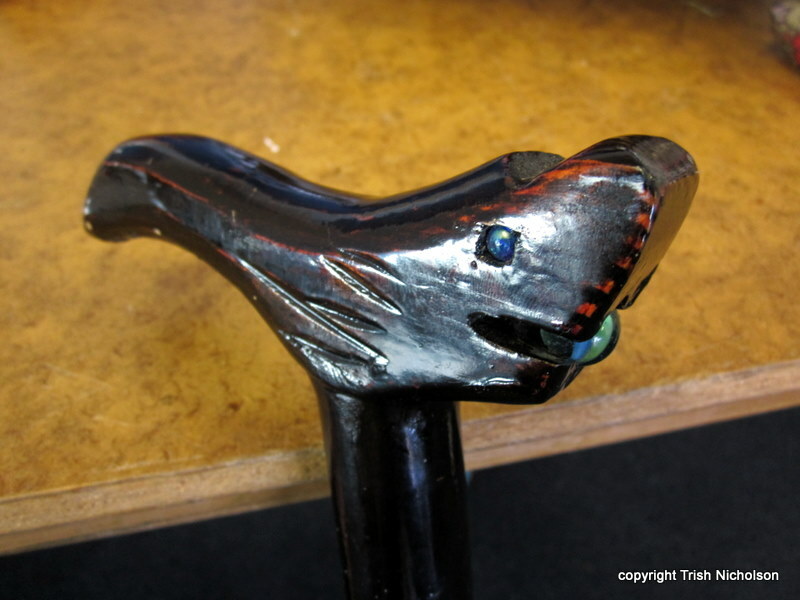 Its rubber tip worn down to a custom tilt; its handle polished by decades of grip and lean. To see such a dependable old friend abandoned to a jumble sale is a sad sight: it can mean only one thing. She was 92 when she died. No-one begrudged her the time-off. What was her name? “That old lady who lived on top of the hill? Don’t know, love.” Nobody knew her anymore: her generation had gone, new people arrived; she became part of the landscape they passed through. 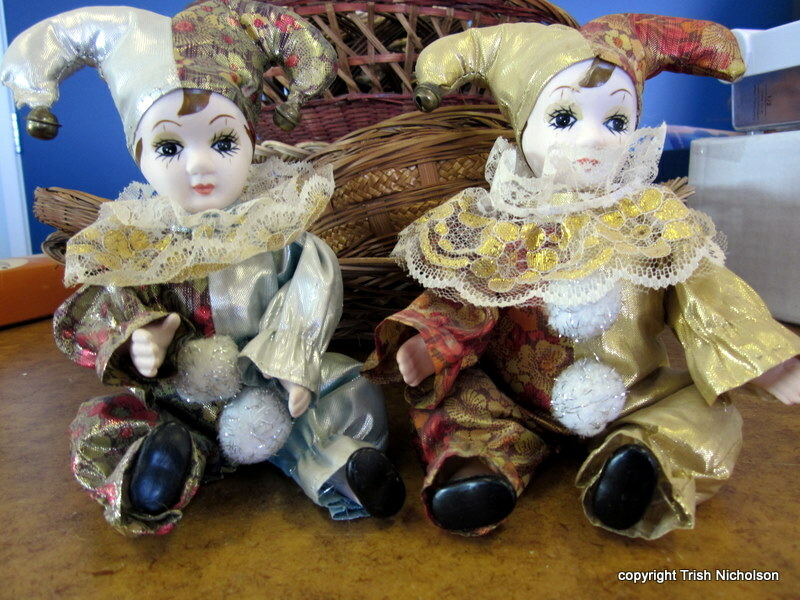 “These two harlequins were hers, too. Real porcelain – the hands and faces … amazing. From out East somewhere, I reckon.” They were on top of an old black and white television set when the house was cleared. They still smile, shyly, dusty and faded where a window must have stood behind them. Houses on hill tops have a lot of sun – and a lot of view. Perhaps she looked at that view more often than the television, and smiled at the harlequins’ generosity. The stall holder rummaged through the bric-à-brac – seeing I was interested – and brought out a flower fashioned from purple, leaded glass. “I reckon she made that herself, a bit rough – pretty, though, eh?” Yes. I bought it all for a few dollars. That walking stick. With assurance of her own identity, a sense of humour and imagination, she made it unique. Those who didn’t know her knew whose walking stick it was. And from what distant land had she brought the harlequins, wrapped with infinite care – inside tissue paper, inside a box, inside her suitcase? Or were they cushioned in a sweater in her rucksack, even further ago. Were they the Yin and Yang of a young girl’s hopes, the romance that begins with shy smiles and ends in side-by-side fidelity by a window with a view? Or perhaps she travelled much later in life, after the twosome had become lonesome: the harlequins a bitter-sweet souvenir of a life and a love once known. 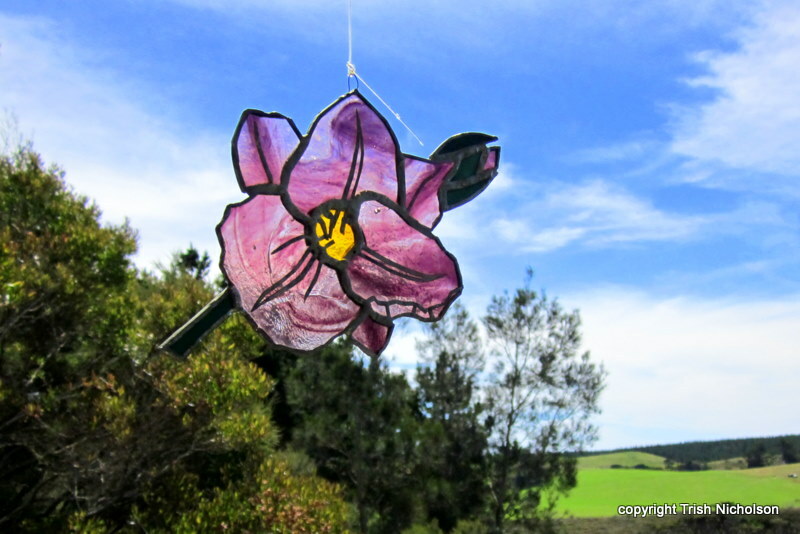 And the leaded glass flower – a bit bendy where it shouldn’t be – was it made of gritty determination with shaky hands and cataract-veiled eyes? With an irrepressible desire to make a thing of beauty that caught the light, a small, stained-glass epitaph? Or was it the expression of a young girl’s vision – unfaded, still smiling … shyly? No-one here knows her name, but I like to think of her as, Beatrice, who preferred to be called Bea. If you have read this far, I hope you have understood, now, why there is no introduction to this piece; no mention of useful techniques, advice, reasons. Quite simply: it is all in the seeing. The wonderful thing about writing is that you can be inspired anywhere, anytime. I wrote, Writing Character, after a visit to our local market where I learnt something about drawing characters that I wanted to share by ‘showing’ rather than ‘telling’. Trish wandered far from her Manx roots to become an anthropologist, working on aid and development projects, travelling in a score of countries, before settling on a hillside in New Zealand. She lives in the Far North, where ‘winter’ means picking oranges between showers, and writes full-time. Last year, Trish signed up with Collca, a UK based e-publisher, to write a new series of BiteSize Travel books, which allows her to indulge her passion for photography. Masks of the Moryons: Easter in Mogpog, was released in December 2011; On a Flying Tiger: a journey in Bhutan, will be out on April 20th. Trish’s other passion is writing short-stories. Encouraged by a few wins and anthology publications, she is working on her storytelling skills which she believes are equally important for writing non-fiction. She applies this creed to her weekly blogs at Words in the Treehouse, which include stories, reviews, travel tales and photo-essays as well as posts on writing. And there really is a tree-house. 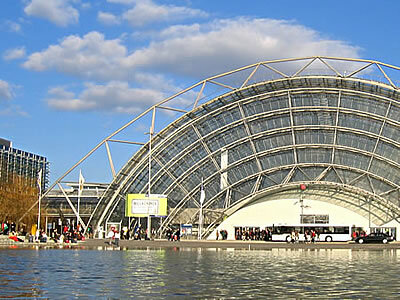 The Leipzig Book Fair (“Leipziger Buchmesse”) takes place in spring and is the second largest book fair in Germany after the Frankfurt Book Fair. It is open to the public on all days, and emphasizes the relationship between the authors and the readers. 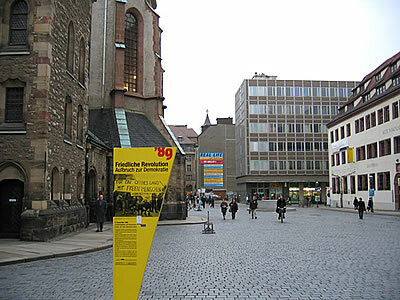 In contrast, the Frankfurt Book Fair is larger, and focuses on the business aspects. More about the history of both fairs, further below. The main topics of this year’s Leipzig Book Fair were: Authors at Leipzig (an author meeting), audiobooks, book+art, the region Central/Eastern Europe, Children – Youth – Education, Comics, Digitalization, Young German Literature and Music. 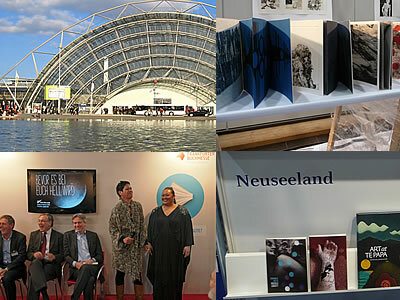 As this year’s Guest of Honour at the Frankfurt Book Fair, New Zealand also offered a first taste of its literary and cultural programme at the Leipzig Book Fair. 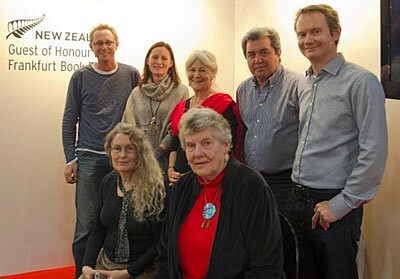 The New Zealand Authors who visited Leipzig were: Kyle Mewburn, Antonia Steeg, Barbara Ewing, Allan Duff, Damien Wilkins, Elizabeth Knox and Jenny Pattrick (photo: Buchmesse Frankfurt). 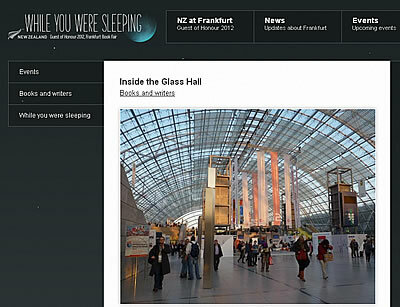 During the four-day presentation, the New Zealand authors read from their current publications both on the international stage of the Leipzig Book fair as well as on the stage at the Frankfurt Book Fair’s stand. In panel discussions, they shared personal insight into their country, its culture and its people, and got readers interested in their country on the other side of the world. The 4-day presentation was rounded up by a discussion panel with graduates of the International Institute of Modern Letters at the Victoria University of Wellington: Elizabeth Knox, Kate Camp and Damien Wilkins talked about Creative Writing and the promotion of young authors in New Zealand. The history of the Leipzig Book Fair also reflects the history of Germany and the political changes: the tradition of the Leipzig Book Fair reaches back to the 17th century. In 1632, the fair for the first time topped the fair in Frankfurt am Main in the number of books presented, and kept thriving. After 1945, things changed due to the cold war: During the GDR era the fair remained an important meeting place for book lovers and sellers from both East and West Germany, but Frankfurt turned into the main fair for book trade, especially for publishers and agents. After unification, the Leipzig fair moved to a new, modern location outside the city center. Since then, the Leipzig fair experienced a renaissance and continues to grow. Leipzig isn’t only home to the book fair – it’s also the place where the democratic revolution in East Germany started in 1989. The centre of the revolution back then was the Nikolai-Church in the centre of town. Beginning in 1980, people gathered in the church every Monday for prayer. First just a few met, then more, until in 1989, thousands came together there every week for Monday mass, which was followed by a walk of protest. 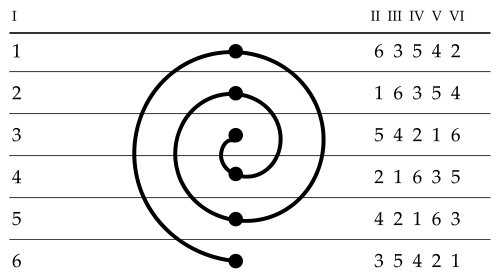 That is, the word that corresponds in each case to A or B or C, etc, and appears at the end of a line, gets shifted around as the poem winds its way through the spiral. At the end of the six stanzas we have an Envoi, a kind of final greeting to the reader, which uses this pattern BE/DC/FA, squashing up the six key words into three lines. It’s rather difficult to explain, so here’s a properly formed example from W H Auden called Paysage Moralisé. In this poem you can see how the key words at the end of the first six lines (valleys, mountains, water etc) wind their way around the poem. Being keen to have a go at the Sestina, if only to say I’ve actually tried it, I produced the item below (notice I don’t call it a poem). I discovered shortly after I started that I’d begun to rhyme the key words instead of actually re-using them; hence the variations. However I think the scheme is intact, and by the time I got to the envoi the words were back where they belonged again. The metre isn’t consistent because it’s not easy to concentrate on getting the metre right as well as all the other juggling of words, but since this is only a practice run, I’m not fussing about that too much. I’ve written out the key words at the beginning, with their alphabetical symbol beside them. I haven’t thoroughly checked but I think they’re intact, at least in terms of rhyming with the original. The group of six letters are only at the side to give you an idea of where the key words/rhymes have gone to. I was originally going to use a bunch of words that I came across in relation to trailer hitches, but they proved a bit of an obstacle in the way of getting the Sestina off the ground. And anyway the ‘poem’ found its own way home. Headlights, which my brother-in-law did. Between table and chair, window and door. That would follow without hitch. Only Theseus did the deed without hitch. Mike Crowl is a writer, composer, actor – and recently retired from an 8-5 job. He lives in the South Island of New Zealand, and has been actively involved with amateur singers and actors in various theatre productions and concerts for most of his adult life. He’s been writing for publication since the late eighties, and runs some five (or is it six?) blogs. He’s always had an interest in writing poetry, but has only begun to get to grips with it (and with some of its forms) in the last few years. A place where German authors read 10 pages from their new books: that is “Zehnseiten.de“, which translates to “Tenpages.de”. 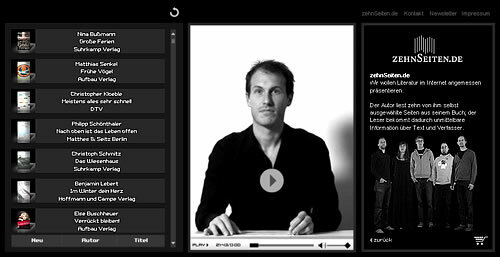 The startpage offers a list with the new additions on the left side, just click a name, and the author will appear on the screen. Then click the arrow, and lean back and listen. Author Christopher Kloeble presents his first book, Meistens alles sehr schnell (Most Times Everything Very Fast). He also has a webpage with a lot of photos from places he visited in the last years: From India to Izmir, New York & Montauk, Holland and Israel, and if you scroll further, you even will find photos from Germany: Christopher Kloeble homepage. Frank Goosen reads from Sommerfest (Summerparty). His website offers texts, videos and photo pages. This Blog Fest is a collaborative web initiative in anticipation of the Frankfurt Bookfair in October, where New Zealand is the Guest of Honour. In these pages we’re highlighting Kiwi and German writers in 2012 and creating a space for interested readers and bloggers to connect and share related posts. If you are a Kiwi or German living anywhere in the world, or if you are from somewhere else but have settled in New Zealand or Germany, we want to hear from you.